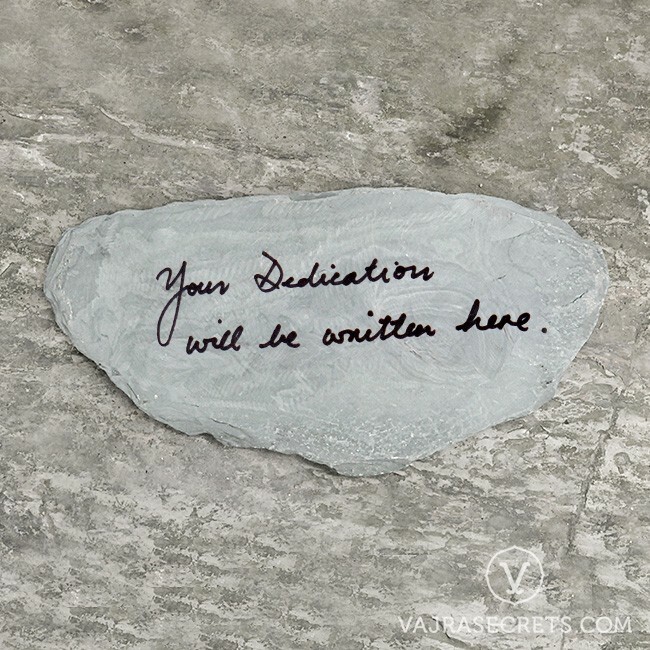 Dedicate a mantra stone to yourself or to the people who matter in your life. 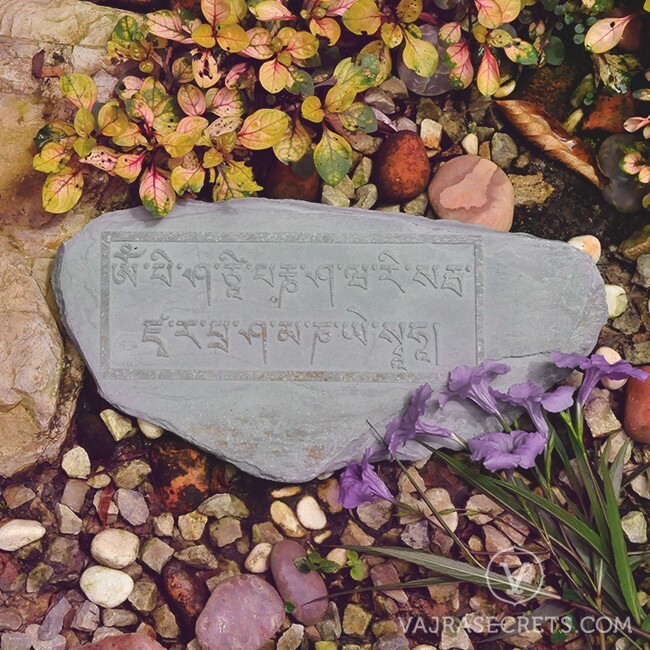 Each mantra stone leaves a Dharma imprint that will help you realise your Buddha potential and speed you on your way to Enlightenment. 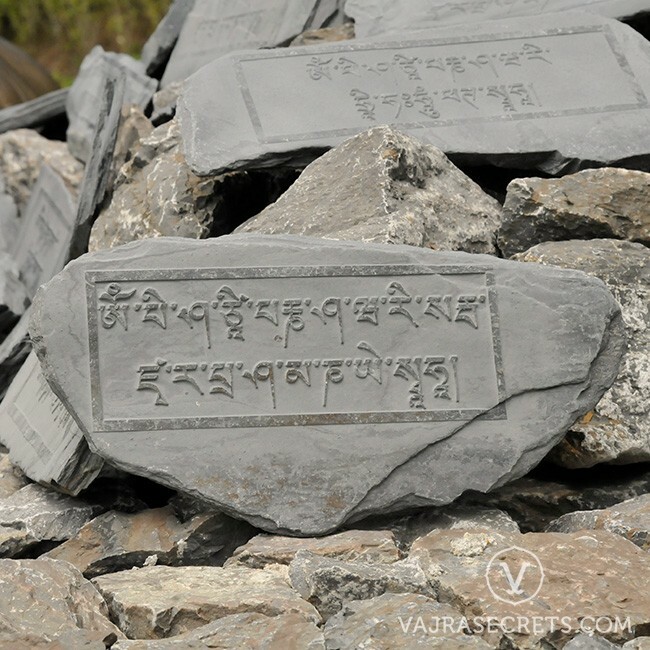 Mantra stones (or mani stones) are part of the rich Tibetan Buddhist culture and heritage. 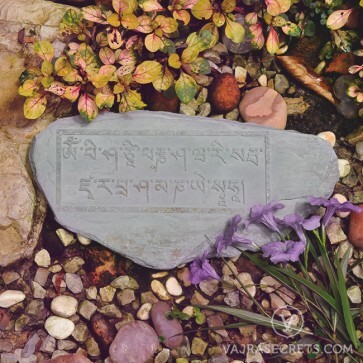 Commonly found in Tibet, Nepal, Bhutan and India, these stones are carved with sacred mantras, each with a different meaning and benefit, then placed in various locations to bless the environment, passersby, the individuals who created them and the people to whom they are dedicated. 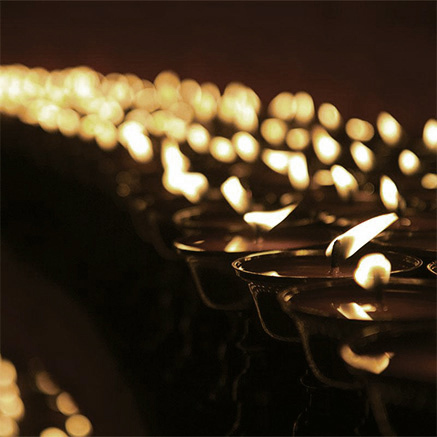 Mantras are emanations of Buddhas in the form of sound. 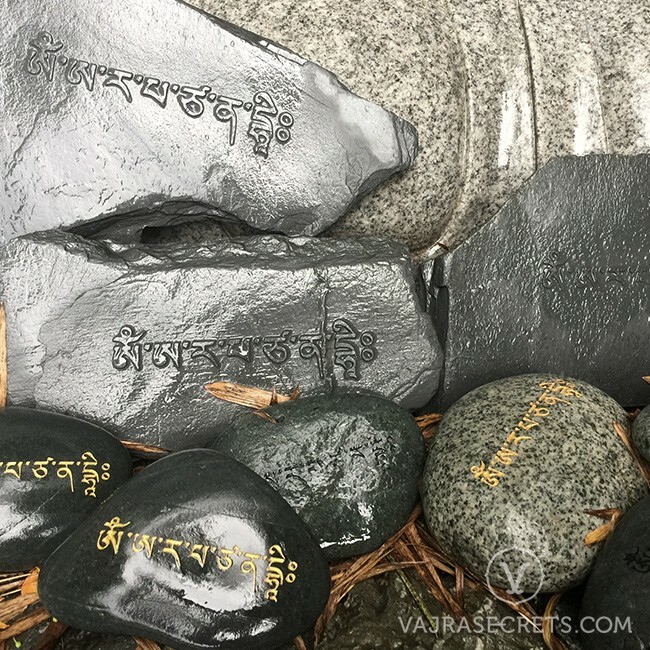 These mystic formulas carry tremendous blessings — anyone who sees or recites these holy words will connect with the sacred energies of each mantra, reaping the benefits of protection, healing, purification, compassion, wisdom and so forth. 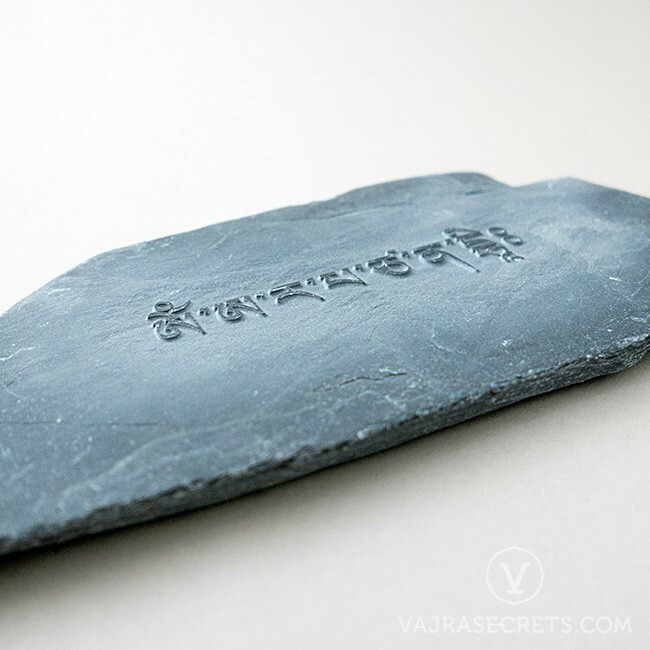 Dedicate a mantra stone to yourself or to the people who matter in your life. 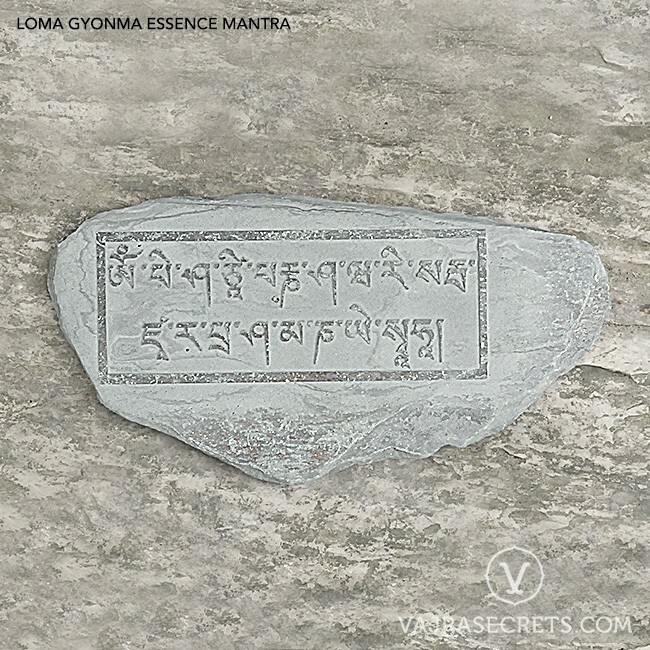 Each mantra stone leaves a Dharma imprint that will last lifetimes. 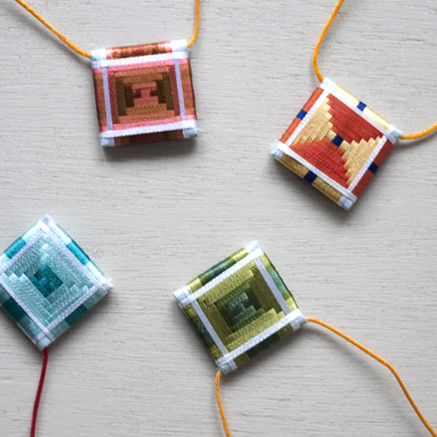 Every time someone circumambulates, makes offerings or recites prayers at your mantra stone, you will gain a continuous stream of merits that will help you and your loved ones realise your Buddha potential and speed you on your way to Enlightenment. 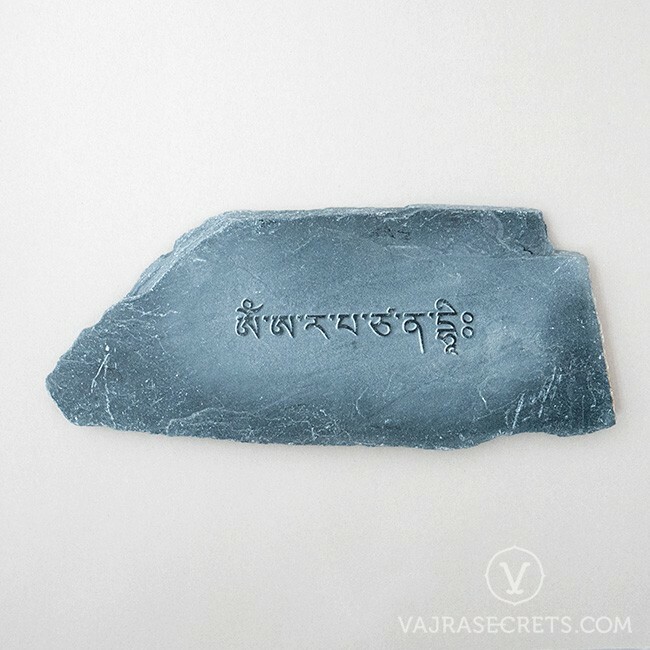 When you dedicate a mantra stone with VajraSecrets, your stone will be engraved with your chosen mantra and your dedication will be written on the reverse side. 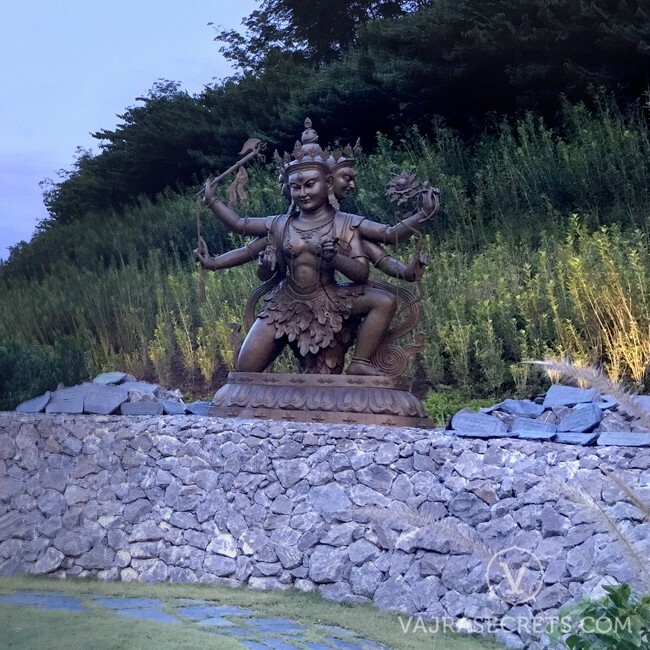 It will then be offered to the Three Jewels in Kechara Forest Retreat with strong aspirations, prayers and visualisations. 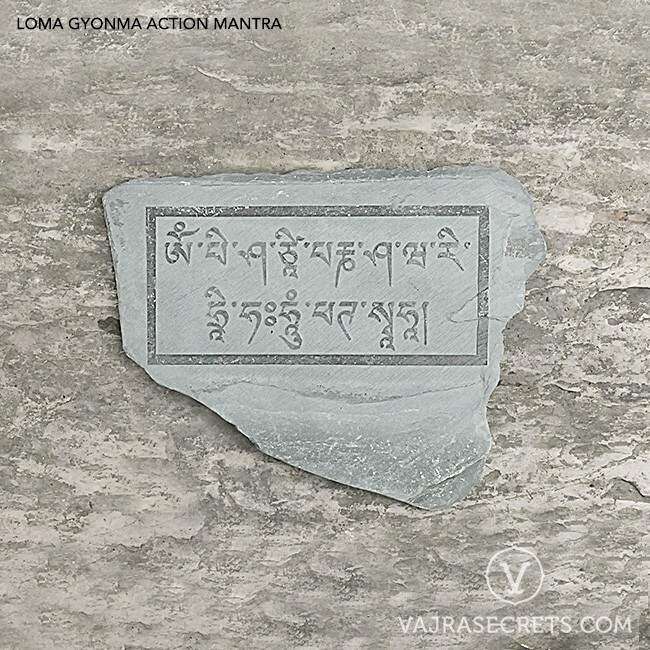 Loma Gyonma is the 20th of the 21 Taras — Lhamo Rithrodma (the Mendicant Tara) who averts all diseases. 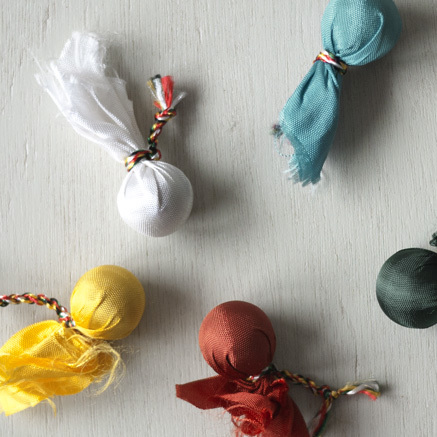 Also known as Pita Parnasavari or The Mountain Mendicant Wearing Leaves, she is an ancient Tibetan healing deity who harnesses the power and energies of Nature to help us overcome obstacles that often manifest as dangerous diseases. Her practice can cure many different types of diseases and she is regarded as a “specialist” in curing epidemics, contagious illnesses such as SARS, HIV, H1N1 and other dangerous ailments. 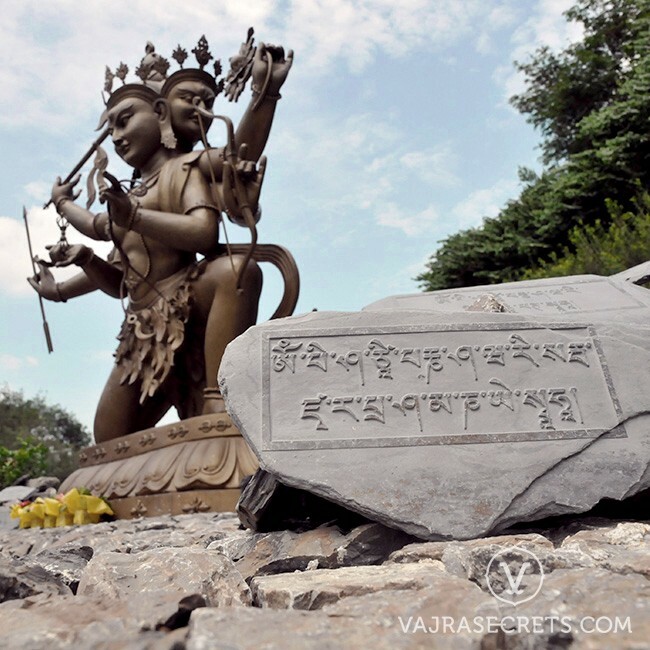 As one of the most efficacious healing deities in Tibetan Buddhism, Loma Gyonma has mastered the mysteries of the forests which not only cure all illnesses and eliminate its causes, but also destroy harmful spirits, enrich life and bestow good health. 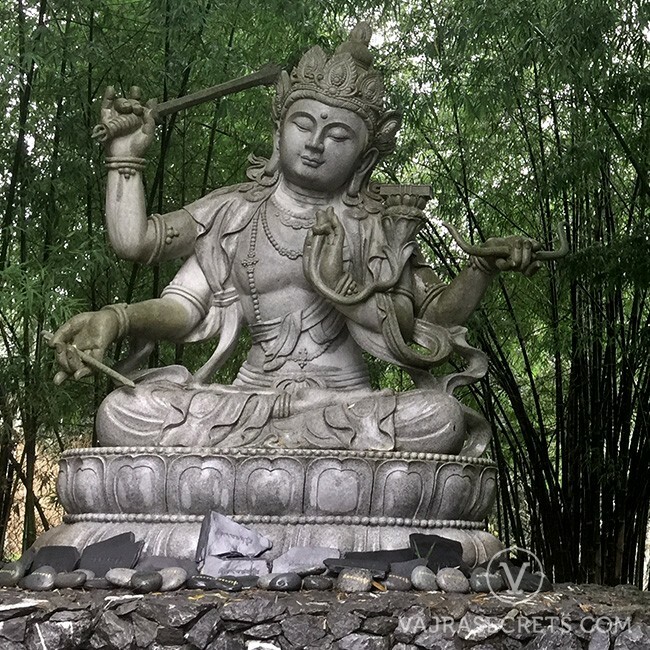 Manjushri, whose name means ‘Gentle Glory’ or ‘Sweet Splendour’, is one of the most important Bodhisattvas in the Mahayana and Vajrayana traditions. This Wisdom Buddha is highly revered for the benefits of his practice: better memory, clarity of mind, increased focus, heightened creativity, better communications skills and wisdom. With his blessings, we are also able to understand the Dharma deeper and apply it to our daily lives so that we grow and become better versions of ourselves.